Check out Pop's Party Room! Perfect for birthdays and small events! Which food option would you like? We customize menu options for any group. Please let us know what items from our menu you'd like a quote for in the form above. 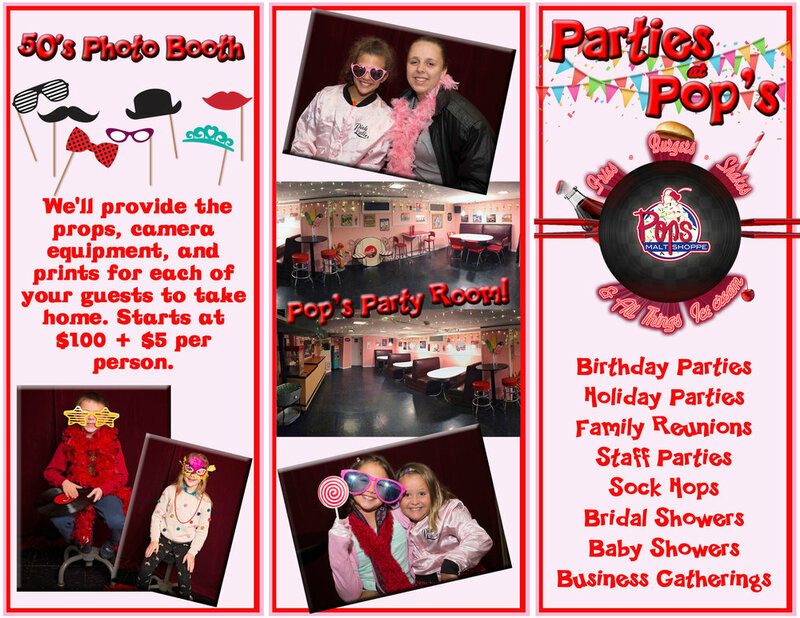 Celebrate your next birthday or event with us! We'll provide the food, 50's atmosphere, and of course dessert! 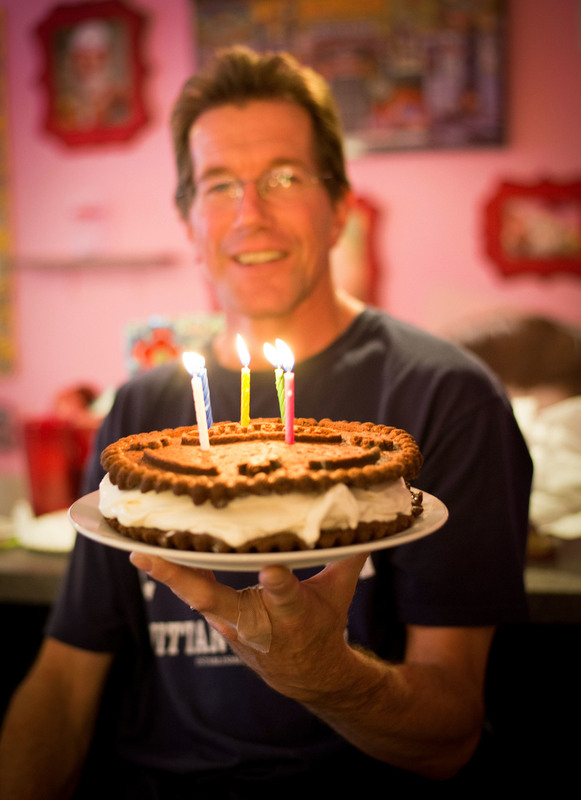 We make our own custom 8" cookie cakes (feed 8 people per cake)! You pick the ice cream flavor, toppings, and vanilla or chocolate cookie. 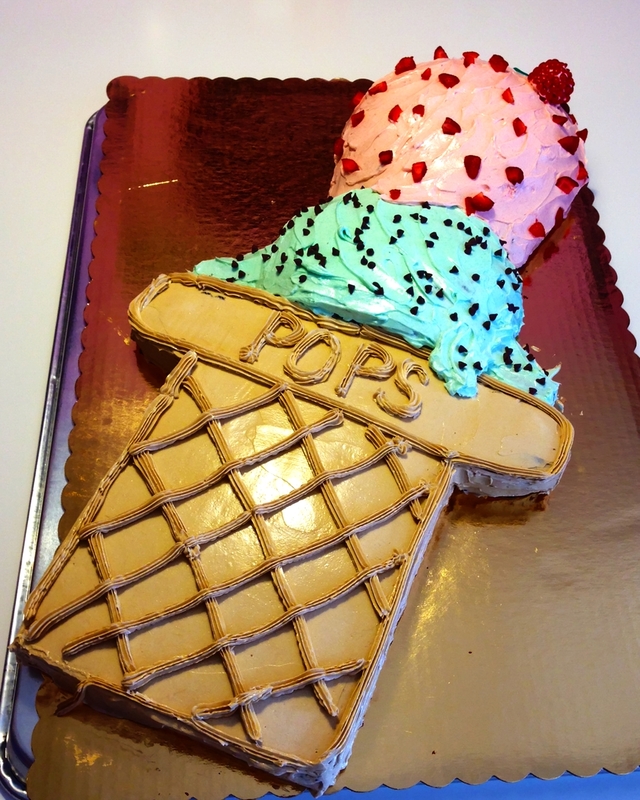 Cookie Cakes are $23.95+tax. Traditional cakes or cupcakes are also available through our private baker. Ask us for more info by completing the form on this page. 50's Photo Booth Available Upon Request. We'll provide the props, camera equipment, and instant prints for each of your guests. Starts at $100 + $5 per person. * Please note a 18% gratuity will automatically be added to your dining total for all parties.